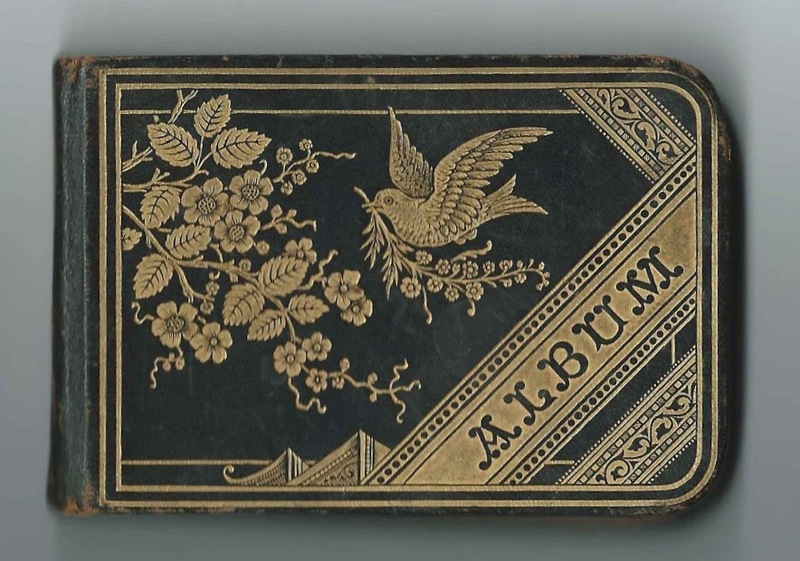 1880-1884 autograph album that belonged to Warren Elbert Hapgood of Marlborough, Massachusetts. 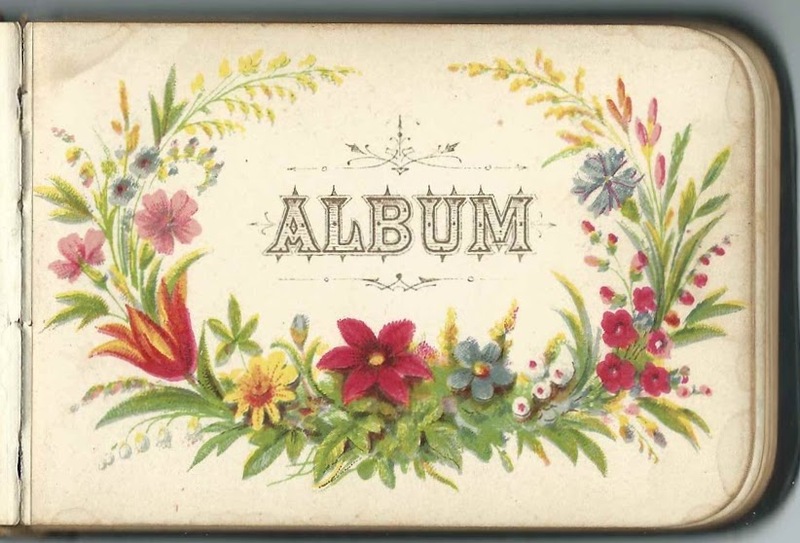 The album measures approximately 4" x 2-3/4" and contains the sentiments of 68 of Warren's relatives, friends and schoolmates. An alphabetical list of surnames and an alphabetical list of the signers, together with any personal information they shared, appear at the end of this post. Warren Elbert Hapgood was born July 2, 1870 at Marlborough, Massachusetts, the son of Ira Lewis Hapgood and Mary Green (Wheeler) Hapgood, who were born at Marlborough, Massachusetts, and Berlin, Massachusetts respectively. Warren's parents didn't inscribe pages in his album, but his paternal grandmother, Persis (Bigelow) Hapgood, and his brother Leslie Albert Hapgood, did. 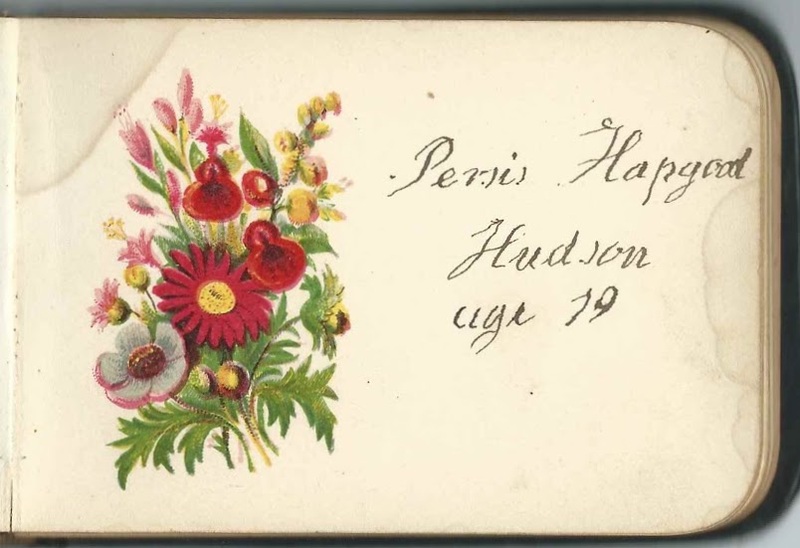 Persis was living at Hudson, Massachusetts, when she inscribed her page. Leslie Albert Hapgood inscribed his page at Marlborough, Massachusetts, on January 21, 1883. Many other members of the Hapgood and Wheeler families signed pages in the album, including the families of Warren's maternal and paternal aunts and uncles. Please refer to the list below. On June 12, 1896 in Worcester County, Massachusetts, Warren Elbert Hapgood married Florence Gertrude Stone, daughter of James Porter Stone and Ellen F. (Davis) Stone. Warren and Florence had, I believe, at least four children. Florence died in 1920. On September 10, 1921 at Nashua, New Hampshire, Warren married Josephine S. Hughes, daughter of John Franklin Hughes and Josephine (Wade) Hughes. Josephine S. Hughes had earlier been married to Harry, at Sangerville, Maine, on September 10, 1901. What happened to end that marriage, I don't know. Warren Elbert Hapgood, a veteran of the Spanish American War, died in 1958. Some signers took great care with their entries, such as E. H. Larrabee, who drew an intricate sketch. Mary L. Allen of Marlborough, Massachusetts, signed on December 12, 1882; "Berrying 1881"
Aunt Mattie, signed at Hudson, Massachusetts, on December 25, 1880. Perhaps Martha C. (Aseltine) Hapgood, wife of Thomas Dana Hapgood, who was a brother of Warren's father Ira Lewis Hapgood. Persis Hapgood of Hudson, Massachusetts; "age 79". She was Persis (Bigelow) Hapgood, paternal grandmother of Warren Elbert Hapgood. Fred W. Hapgood of Hudson, Massachusetts, signed on January 8, 1881; Warren Hapgood's cousin. Fred Warren Hapgood was the son of Thomas Dana Hapgood, a brother to Warren's father Ira Lewis Hapgood. Lilla M. Hapgood of Haverhill, Massachusetts, signed on August 2, 1881; Warren's cousin. Her father, Levi Hapgood, was a brother to Warren's father, Ira Lewis Hapgood. Inez E. Hapgood of Haverill, Massachusetts; "Your cousin". She was Inez Elzore Hapgood, the daughter of Levi Hapgood, a brother to Warren's father Ira Lewis Hapgood. Jennie Howe of Marlboro, Massachusetts; middle initial might be L or S or P or ? Julia A. Payson of Medfield, Massachusetts, signed on July 1, 1881. She was Julia A. (Robinson) Payson, whose husband Edward Payson signed the following page. Edward Payson of Medfield, Massachusetts, signed at Berlin, Massachusetts, on July 15, 1882; Warren's cousin, related to him through their shared great grandparents Joseph and Mary (Green/e) Holder. Edward's wife Julia A. (Robinson) Payson signed the preceding page. Millie Proctor of Marlborough, Massachusetts, signed on March 5, 1883 "Out in the shed"
Mrs. Joseph Proctor of Marlborough, Massachusetts, signed on June 10, 1881. Nellie F. Wheeler of Berlin, Massachusetts, signed on June 22, 1881. She was Nellie Frances (Reed) Wheeler, wife of Henry Arthur Wheeler, who was a brother of Warren's mother, Mary Green (Wheeler) Hapgood. Emily G. Wheeler of Berlin, Massachusetts, signed on June 22, 1881. Emily G. (Bruce) Wheeler, wife of Samuel Wheeler, a brother to Warren's mother Mary Green (Wheeler) Hapgood. Myron L. Whitcomb of Berlin, Massachusetts; Warren's cousin. Myron was the son of Amasa A. Whitcomb and Lucy Holder (Wheeler) Whitcomb, who was a sister to Warren's mother Mary Green (Wheeler) Hapgood. Cousin May, signed at Berlin, Massachusetts, on April 3, 1881; presumably Mary Lenora Whitcomb, daughter of Amasa A. Whitcomb and Lucy Holder (Wheeler), who was a sister to Warren's mother Mary Green (Wheeler) Hapgood. A. A. Whitcomb, signed on April 3, 1881; Warren's uncle, Amasa A. Whitcomb, whose wife Lucy Holder (Wheeler) Whitcomb, was a sister to Warren's mother Mary Green (Wheeler) Hapgood.